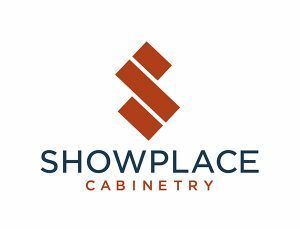 Showplace Cabinetry knows all about building things. As an employee owned company, they’ve become the 13th largest cabinet manufacturer in the United States. They’ve achieved this by building relationships, not just cabinetry. When it came time to rebuild their brand, they came to HenkinSchultz. Showplace employee owners knew they had a great thing going. They support their customers and listen to their needs. They meet or exceed expectations. They produce high-quality cabinetry that ships on time. And they attend to every order with a personal touch. But they also knew they had some very real challenges. When interviewing Showplace and its customers, a number of things became very clear. They desired fresher, more current branding in their images, colors and marketing materials. They knew they were competitive nationally, but didn’t look like a national player. Though they strive to set trends, they also know many customers perceived them as ‘too Midwestern’ in style. HenkinSchultz knows the importance of honest conversations when looking at a company’s brand. We examined Showplace’s challenges, but we also dug into their strengths. They have depth of products at a great value. Their employee owners are heavily investing in maintaining excellence. They excel at relating to single-location, family-owned and smaller niche dealers. Their Midwest work ethic shines. And they are financially stable with strong relationships and partnerships across the country. A brand is more than how you look, its how you act and what people feel about you. 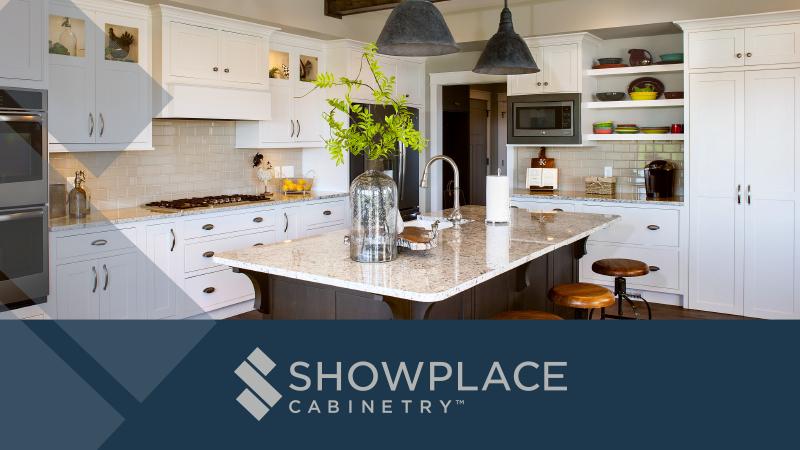 Showplace strives to be reliable, trendsetting, confident, approachable and genuine. When describing their own people, they use words like trustworthy, energetic, honest, collaborative and dependable. This gave us a great platform to start examining where to go next. But we weren’t done. More than what HenkinSchultz perceived of Showplace. More than what Showplace thought of themselves. We HAD to know what their customer was thinking. Where were they? Who are they? And what do they want. Their customers fall into two primary categories: 1) Dealers, lumber yards and associated design firms who seek excellent value and service in the semi-custom cabinetry niche. And 2) Homeowners, typically women around age 45+, who wish to upgrade their living space, but still want value and style. Understanding what drives these groups was crucial. Before doing any design, rebranding or even brainstorming, HenkinSchultz built a branding document summarizing all of the above. And we developed a simple sentence we started to live by. “Showplace is dedicated to growing new markets, with even newer markets and trends, through good old fashioned hard work.” We knew that current customers were aware of the work ethic, people and product. Now we needed to appeal to new customers. This all began by creating a new brand from the bottom up. HenkinSchultz worked with the Showplace team to give their logo a fresh, contemporary update to reflect their dedication to trendsetting but also underscore their history. The logo is being rolled out with new trade ads, consumer ads, and dealer materials. The copy points are short, fun, but very deliberate – emphasizing the quality of product, dedication of employee owners and the depth of choice and styles. In addition, HenkinSchultz worked on refreshing Showplace’s EVO brand, a contemporary line of kitchen and home furnishings that appeal to modern design senses. And as we continue the evolution of Showplace and EVO, we always emphasize the values that got them where they are today – and look ahead to where we want to be tomorrow.